The river borders the southeastern edge of the park. 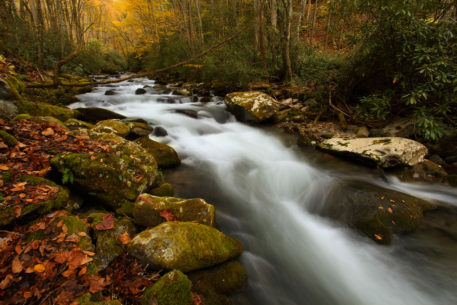 Western North Carolina is a waterscape photographer's paradise. The steep, rugged terrain and high annual rainfall make for an abundance of scenic streams and waterfalls.